Even as God continues to change lives with the gospel, millions of people around the world still don’t know Jesus. CMS Federal Secretary Peter Rodgers urges us to consider the need for CMS missionaries to take the gospel to the world, and shares about exciting movements in global mission. Since we returned from a recent visit to Vietnam, my wife Marcelle has begun seeking opportunities to befriend the Vietnamese owners of our local bakery. When we returned to Australia Marcelle felt unsettled. She often buys bread from this local bakery, but up until now she had made no effort to get to know them. How could we feel so moved by the needs of the Vietnamese in Vietnam but ignore the spiritual needs of the Vietnamese people who live around the corner from us? I often hear people draw a distinction between ‘local mission’ and ‘global mission’. Is this helpful? If we believe that the whole earth belongs to God and that his mandate to us is to make disciples of all peoples, then both are important. We are praying that the growing relationship between our family and the local Vietnamese bakers will present us with an opportunity to share Christ with them. But, what about the tens of millions of Vietnamese people that live in Vietnam itself? 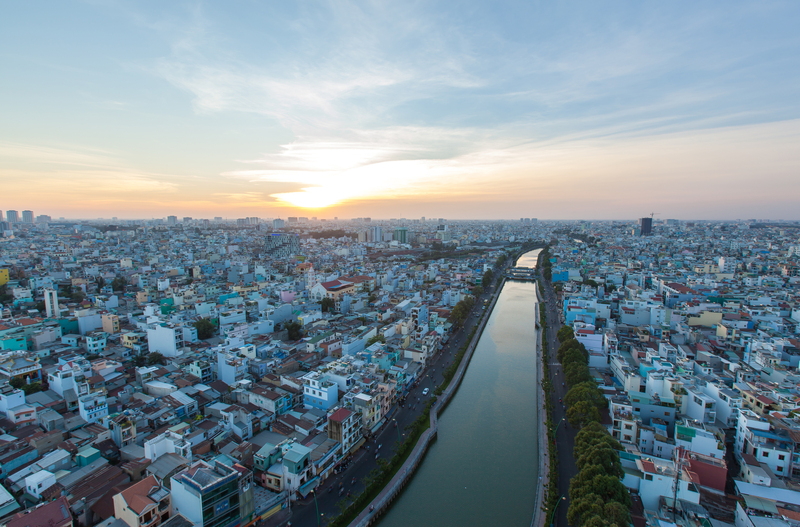 In Vietnam the number of believers is just 1.8% of the population of 90 million. Praise God that, even though the work to be done is still overwhelming, the Church in Vietnam is growing. How can Australian Christians work alongside the Church in Vietnam to reach these gospel-poor people for Christ? We must do something! Wherever we are, each one of us is called to share the hope we have in Jesus with the people around us, no matter what culture they belong to. A passion for cross-cultural mission starts in our own neighborhoods as we make new friendships and cross the borders of our comfort zone. Will you knock on the door of your Sudanese neighbour or ask your Indian friend to teach you how to make a real curry? What is your church doing to plant itself among the nations that Lord has brought to you? The whole Church must be committed to making disciples of all nations. At the same time, the fact that the nations have come to us must never be used as a reason to stop setting people apart to go abroad as long-term cross-cultural missionaries. Without dismissing the important mission opportunities that now exist on our doorstep, let’s not forget about the massive unfinished task that still exists throughout the world. Staggering statistics make it clear that there are tremendous spiritual needs beyond Australia’s borders. There are around 300,000 Vietnamese people living in Australia; the population of Vietnam comprises 300 times as many people! The church there is small and most believers come from ethnic minorities. Without help from Christian brothers and sisters around the world, it is unlikely that these people will hear the good news of Jesus. In wider South East Asia there are more than 500 million people who belong to gospel-poor people groups. Who will go to them? We belong to a pilgrim Church, a Church that is always on the move. Jesus did not ask us to stay but to go. When we stop going, we start failing to be the Church. I suspect that the early Christians in Acts were tempted to stay in Jerusalem. Thousands had already turned to Christ, but God had bigger plans. The ongoing story of Acts is not a story about building programs and church structures. It is about the Church going out to make disciples of the nations. As the pilgrim Church we must keep going and keep sharing Christ until all nations have heard the gospel in a contextual and comprehensible way – until all the earth is filled with the glory of God. That is why today CMS continues, as fervently as ever, to challenge Australian churches to set apart people to go and reach the world for Christ. The idea of Western missionaries going from Western countries to spread Western culture as an adjunct to the gospel belongs to a bygone era. New missionary movements are emerging from the places we once called mission fields: from Africa, Asia and Latin America. Mission is more international than ever and CMS personnel now serve alongside missionaries from all over the world. God is surpassing our most ambitious dreams as he fulfills his purposes! As I travel, I hear over and over again that CMS missionaries are among the most perseverant. I am thrilled and so thankful to God for this! The extensive training that CMS provides pays dividends. CMS missionaries excel in cultural understanding, they put years of effort into language fluency, they know and respect the local Church and live humbly in partnership. CMS missionaries stay long-term, persevering through the temptation to come home. There are no shortcuts to effective mission. CMS is committed to challenging Australian Christians to serve as long-term missionaries through whom God can bring real and lasting change. To go as a long-term missionary will almost certainly mean giving up a career in Australia, leaving behind friendship networks, missing out on special family events and learning to live with less. Living in another culture has been shown to be one of the most stressful things a person can ever do! So why bother? Because Jesus bothered. Because Jesus gave up everything and became one of us. He suffered unimaginably so that we might be saved. If we follow him, how can we do less? The testimony I hear from CMS missionaries is that seeing the gospel take hold of somebody for the first time brings a joy that runs very deep — a joy that they would not trade for anything. With such great need around God’s world and such joy to be discovered, why wouldn’t you go? Pray for your church to grow in passion for Jesus’ commandment to go and make disciples of all nations. Pray for opportunities to share the gospel in cross-cultural relationships in your local area, and for more people to go with CMS as long-term missionaries.